Looking for a plumber in Bolton? Our experts deliver innovative, efficient & value-driven solutions to customers for all energy sources. Bolton Plumbing and Heating are Gas Safe Engineers, and we are listed on the Gas Safe Register. So you can be assured of the quality and safety of our work when it comes to any plumbing or boiler issues you may have, Our team are able to deal with boiler installations and repairs as well as bathroom installations and underfloor heating services. We’re expert in bathroom fitting services and specialise in bathroom renovations. Plus, we cover bathroom general repairs and smaller jobs like replacement taps. We offer a free bathroom design service as well as helping with sourcing plumbing materials and products. And, we will project manage your bathroom, shower or wet room conversion from start to finish. So if you're looking for a new en-suite bathroom fitting or even a new luxury family bathroom then contact us to discuss our bathroom fitting service at affordable prices. We offer a full range of fitting and maintenance services covering plumbing, boilers, central heating and LPG systems. Gas Safety Certificates - Bathroom fitters Bolton - Wet room installation Bolton - Walk in showers Bolton -Water leak repair Bolton - Emergency plumbers Bolton - General plumbing Bolton - Boiler installation Bolton - Combi boiler installation and service Bolton - Central heating Bolton - Radiator powerflush Bolton - Gas fire cooker installations Bolton - LPG boiler installation Bolton - LPG gas safety checks Bolton - LPG gas installations Bolton. Our Bolton based engineers cover the surrounding area, while we also have engineers working throughout Greater Manchester and Lancashire including, Wigan, Bury, Darwen, Blackburn, Leigh, Salford and Manchester. All of our plumbing engineers have a wealth of experience and they are all Gas Safe registered. So whether you're looking for help with a smaller job like a leaking tap all the way up to a complete bathroom installation or even a combi boiler repair to installation of a new energy efficient gas central heating system, our engineers have you covered! We are expert plumbers based in Bolton, however we are able to work in areas outside of Bolton. Those areas include Greater Manchester and parts of Lancashire. Our services include all aspects of plumbing and heating. Whether you need us for an emergency water leak or a full bathroom installation, we will be able to help. All of our plumbers have a wealth of experience and they are all Gas Safe registered. Gas maintenance and servicing is a key part to keeping your gas appliances safe and efficient. When was the last time you had your gas appliances checked? Whenever you need any work doing, make sure you use a Gas Safe engineer, as it is the only way to make sure your gas appliances are safe. A Gas Safe registered engineer (like our engineers) have been checked to make sure they are competent and qualified to work safely and legally with gas. We can also provide gas safety certificates for landlords. Bolton Plumbing & Heating Ltd Bolton can design and install a central heating system that is right for you, according to your requirements and more importantly, your budget. Not only will it give you peace of mind to know everything is working safely and correctly but you could also make savings on your energy bills. Our engineers are always there for your routine maintenance and servicing. Our vast experience in boiler installation projects and all things boiler servicing related are second to none. 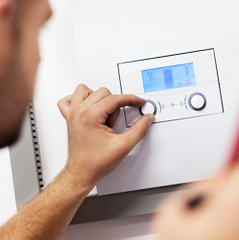 If your boiler breaks down, we'll give you the peace of mind knowing that we will be round to fix it. You can call us 24 hours a day seven days a week. Whether you have used us before or not, we offer a reliable boiler breakdown service. Anyone who has gas appliances, fittings and gas pipes in their home needs to be aware of the risks of unsafe gas work. Bolton Plumbing and Heating Ltd Gas Safe Engineers are registered on the Gas Safe Register – so you can be assured of the quality and safety of our work. Gas Safe Register is the official gas registration body for the United Kingdom. By law, all gas engineers must be on the Gas Safe Register. The Gas Safe Register replaced CORGI registration back in 2009. All our work, across all our plumbing and heating services, is guaranteed to the highest standard. Our time-served, qualified and highly experienced engineers undertake regular ongoing professional training and development. NEED PROFESSIONAL PLUMBING AND HEATING SERVICES IN BOLTON? OUR PLUMBERS ARE LOCAL TO BROMLEY CROSS, EAGLEY, BRADSHAW, EGERTON AND HARWOOD. WE COVER ALL DISTRICTS OF BELMONT, EDGEWORTH, TURTON, KEARSLEY & FARNWORTH. PLUS, WESTHOUGHTON, HORWICH AND BLACKROD.